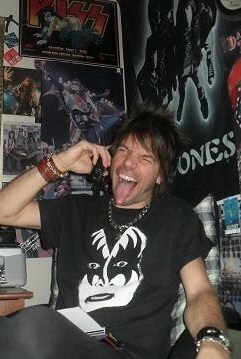 CALLING DR. LOVE: Interviewing Gene Simmons, Nov. 2009. Now, if only Ace would call. Launched in July 2010 by veteran music journalist and rock-n-roll lifer, David “Metal Dave” Glessner, 2Fast2Die is named after the combined titles of Motley Crue’s “Too Fast for Love” and the Ramones’ “Too Tough to Die,” (two of Dave’s favorite bands). 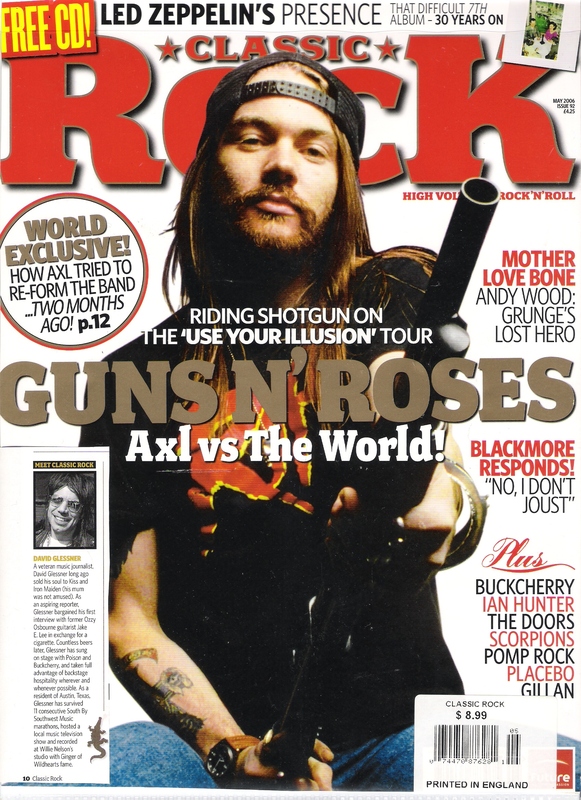 In two decades as a music journalist, “Metal Dave” Glessner has interviewed some of the biggest names in rock, including Ozzy Osbourne, Metallica, KISS, Motley Crue, the Ramones and countless others. A native of San Antonio (“Satantonio”) Texas and a longtime resident of Austin, Glessner has been a regular contributor to such magazines as Metal Edge, Classic Rock and Texas Music as well as the San Antonio Express-News, the Austin American-Statesman, the Houston Press, KNAC.com and others. 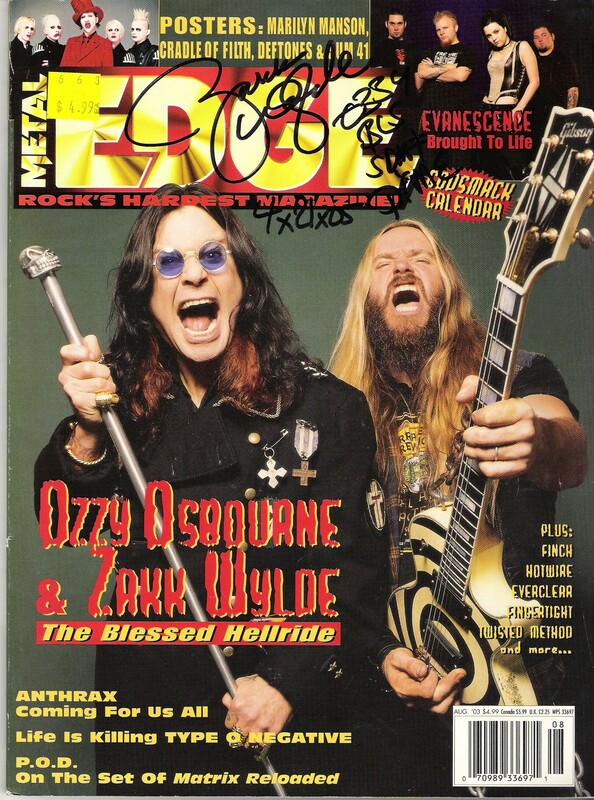 Today, Glessner is founder of the rock-blog site, 2Fast2Die.com, where he shares his archived interviews, photos and random thoughts on all things hard rock, glam-metal, punk and thrash. A veteran music journalist, David Glessner long ago sold his soul to KISS and Iron Maiden (his mum was not amused). As an aspiring reporter, Glessner bargained his first interview with former Ozzy Osbourne guitarist Jake E. Lee in exchange for a cigarette. Countless beers later, Glessner has sung on stage with Poison and Buckcherry, and taken full advantage of backstage hospitality wherever and whenever possible. As a resident of Austin, Texas, Glessner has survived 11 consecutive South By Southwest music marathons, hosted a local music television show and recorded at Willie Nelson’s studio with Ginger of Wildhearts fame. For a full interview with Metal Dave, go here. Dave, This is AWESOME! So glad you decided to do this. Can’t wait to see it all unfold! Not one uncool bone in this man’s body!! !Best Blog I’ve read yet…and honored to know the man…………. I’m impressed that after all these years you’ve always stuck to what you love! You’re a great writer….keep up the good work my friend. Dave! I still remember rocking out in front of Stahl elementary school, stealing there power for our amps and playing Fastway’s say what you will! That was the night when the cops came and some one ripped the door off of my sister’s car! Rock on Dave, Keep the faith! I remember it well, Bill. Disturbing the peace, smoking cigs and rocking the homemade Les Paul and my Hondo starbody! Why aren’t we famous??? Is this the Metal Dave review page? OK.
On a personal note, I am a huge DG fan. This is the guy I immediately want to share anything new I’ve written. This is is the guy I wanna tear up the night with but he’s also the guy I think of when I wanna go have Sunday afternoon beers somewhere off the beaten path of Rock N’ Roll destruction. Really kickass job Dave! Very well done!!! I played bass in Austin bands The Hormones, Sons of Hercules, The Gravedigger V, Glamourpuss and The Spoils. I am planning another foray into musicdom and need your help. Hey, I guess this is called “networking”. I am looking for a guitar player (and maybe a singer) to join The Berry Pickers, a band into pre-65 Rolling Stones, Chuck Berry, the Nuggets LPs, Vox gear and groovy clothes. If you, or someone like you, knows of anyone who fits the bill, please send ’em my way. I guess The Chesterfield Kings are similar!?!?! Or maybe a raved up Downliners Sect performing “One Ugly Child” for Greg Shaw and Rodney Bingenheimer?!?! How did The Hormones snag Pip Plyler (Sons of Hercules, Glamourpuss, The Spoils, etc.) to play bass?!?!? Missed you at the priest show a couple weeks back. Hope you’re doing well. If you like this, I’d love to discuss getting the full song featured or mentioned in your blog. If so, please let us know your policy regarding these types of requests, hope to hear from you soon. We are the Colombian Metal Alternative Band Cold Catatonic, and we are promoting our first studio album called Dante´s Redemption. We live in Bogota, Colombia – South America and write you to present our first LP, with a dark, powerfull and international sound!. We really appreciate your time to hear our band.